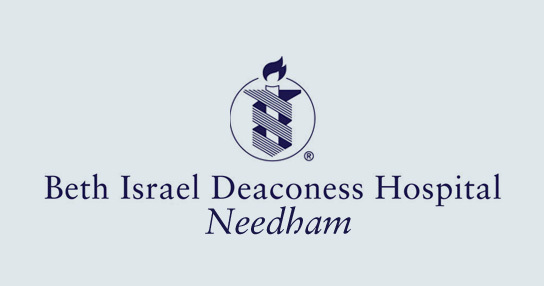 In 2013, during a period of significant institutional growth, Beth Israel Deaconess Hospital–Needham (BID–Needham) began an organization-wide effort to enhance its commitment to patient safety, employee engagement, and patient and staff satisfaction. As a result if its efforts, BID-Needham’s scores on the AHRQ Culture of Safety Survey rose to the 98th percentile rank within one year of implementation and have been sustained since then, with the hospital’s 2016 survey scores remaining in the 96th percentile. This effort was led by the hospital’s executive leadership team with the engagement and full support of the board of directors. For its efforts, BID–Needham was the winning entry in the “Enhancing Culture and Leadership” category of the 2017 MHA Compass Awards. Entries in each of the six Compass Award categories were voted on by non-Massachusetts judges from across the U.S., who assessed the entries “blind” – meaning there were no details to identify the hospital competing. Since 2010, BID–Needham has conducted, through an approved vendor, the Culture of Safety survey. In 2013, the hospital set out to evaluate the hospital’s culture and the physicians’ and employees’ feelings about workplace satisfaction. Over the next year, a comprehensive evaluation of existing processes, procedures and behaviors was conducted throughout the hospital with a message to all staff and physicians of a renewed commitment to patient safety and staff engagement to find solutions. Following the broad assessment, a hospital initiative entitled “Drive” was developed in partnership with leadership and direct line staff members. Drive focused on leadership development and accountability, employee engagement, and improving the patient experience. As part of the cultural transformation process, goals included increasing transparency and consistency of communication, creating a just and learning culture and encouraging confidence in the safety event reporting system and follow-up. Multi-disciplinary workgroups were implemented and included leadership and direct care givers. Commitment to patient safety was always central to the goals. Since implementing the initiative BID–Needham has seen sustainment of staff confidence in the safety culture as well as improved job satisfaction. Additionally, because of the improved transparency of communication and teamwork, the hospital is able to respond more quickly and be proactive when it identifies potential problems via monthly quality surveillance (e.g., fall prevention, skin integrity, and medication events). Patient satisfaction, through HCAHPS scores, has seen consistent improvement. Asked in the Compass Award application to list the three lessons learned, BID–Needham wrote: 1) Leadership and Board support are essential for driving transformational changes; 2) Staff engagement and partnership with leadership is essential to driving sustainable change; and 3) Transformational change occurs with commitment and organizational purpose.